Eva Lea Klein is a Boca Raton, Florida, resident originally from Brazil whose background includes helping to manage her family’s department store business. An avid traveler, Eva Lea Klein often visits locations such as Texas, New York, and Brazil. One of the highlights for visitors to Brazil seeking escape from the urban grid are the country’s abundant beaches along its 5,000 miles of coastline. 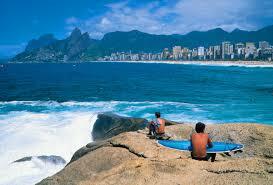 In Rio de Janeiro, Ipanema is perhaps the most famous beach, although it can be crowded on weekends and in fine weather. Those seeking a less touristy experience can continue along the coast, past the turnoff to Copacabana, to explore Arpoador. This sand beach is a favorite with locals, with both body surfers and traditional surfers taking advantage of the currents and waves, and the oceanfront restaurant Azul Marinho offering tasty dining and local music. A short climb to the top of the headlands offers an outstanding view of the length of Ipanema and the iconic Dois Irmãos mountain.